Every day should be about finding inspiration, well at least in my world, because it makes for a brighter outlook and helps to fuel my own creative energy. 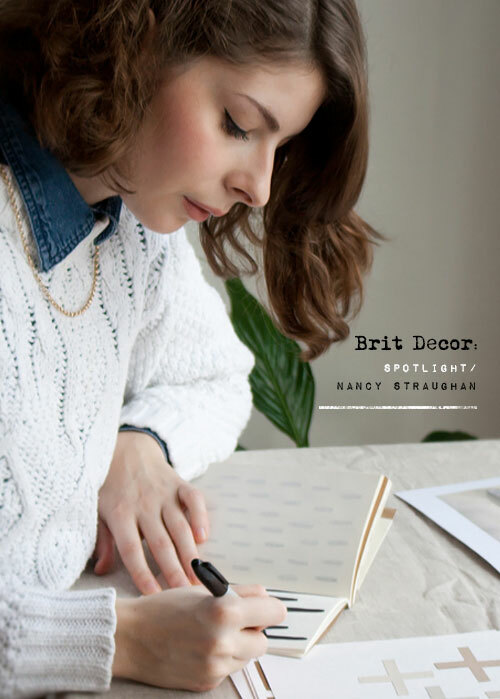 So today I am shining that huge creative spotlight onto the lovely Brit designer, Nancy Straughan, and her unique homeware brand. 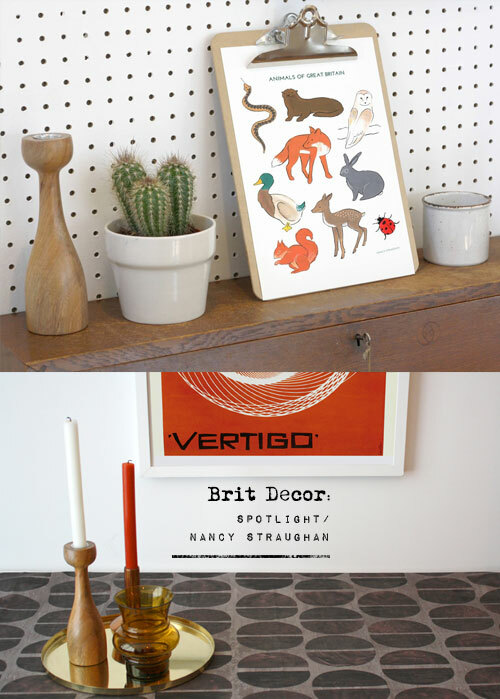 With a degree in printed textiles already under her belt, Nancy took the plunge and set up her own homeware company in 2013, working from her North London flat. 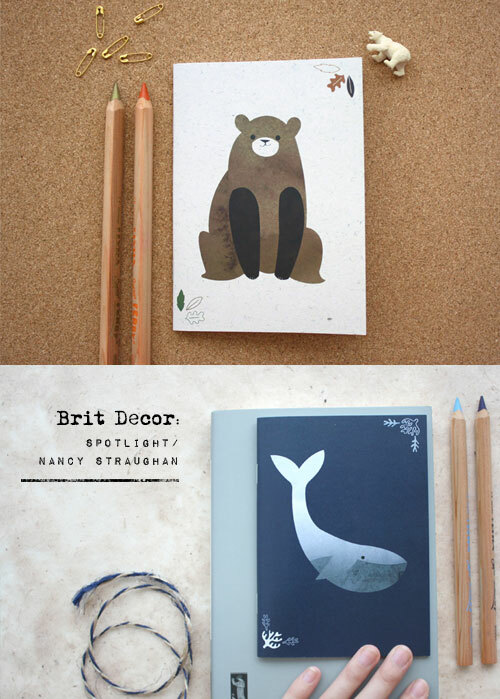 With a strong eye for perfection, Nancy works on every stage of the production process, from drawing out patterns, photographing products, to creating packaging for her wares. 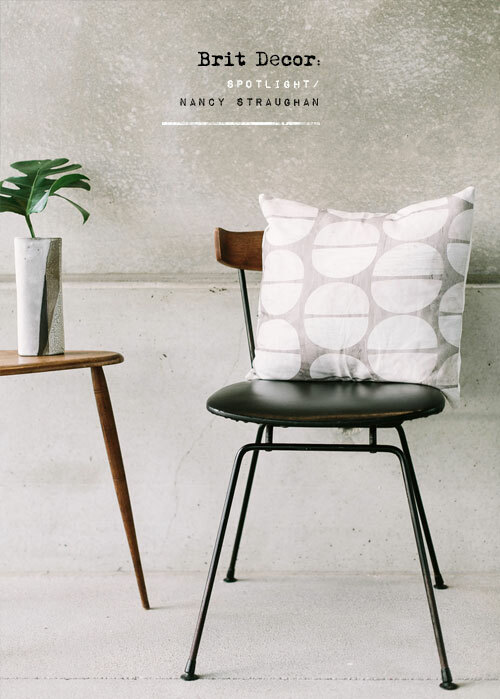 To add to the curb appeal of Nancy's work there's a strong ethical vibe with her strict preference for organic fabrics, recycled paper and eco-friendly inks. Nancy also does her best to leave a minimal carbon footprint too, as each stage of the production process is based in the UK, which Nancy adds, helps to support British manufacturing. I wake up, which I hate, and force myself through to the kitchen where my boyfriend is making coffee whilst listening to the radio. Unlike me, he usually spends a lot of time pottering around in the morning but within 45 mins I've eaten and I'm dressed! I usually have rye bread with avocado or homemade granola. This is quite a vague choice but this one word can be applied to many aspects of my personality - thoughtful. On a scale of 1 to 10 (ten being the coolest) what's it like working for yourself, and why? If I'm really being serious and thinking about it, it's an 8, as the responsibility to myself can be a little tough. I'm a very hard worker and I push myself too much, which I need to cut back on! I try my hardest to make everyone else happy which is very important but this is a tiring trait if you run your own company. Every other aspect is fantastic though! Can you describe your creative style in three words? I love my Wash bags simply because they are so useful! They're made from organic cotton too, which means they're so soft. How would you describe the British textile scene right now? 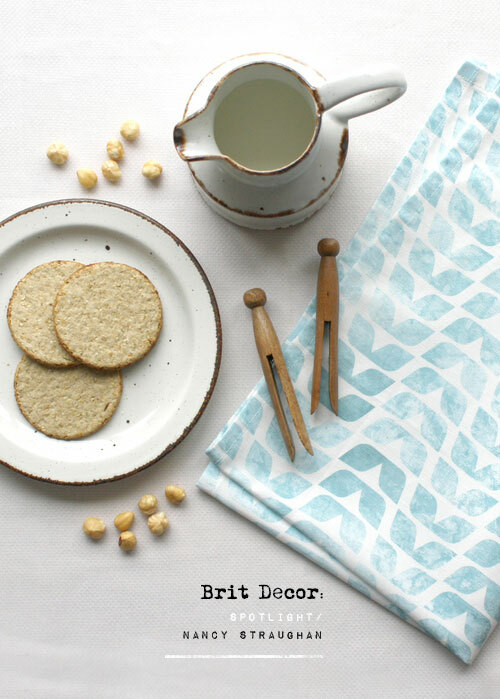 I feel like British textiles are re-emerging, the scene is so vibrant and exciting if you know where to look. 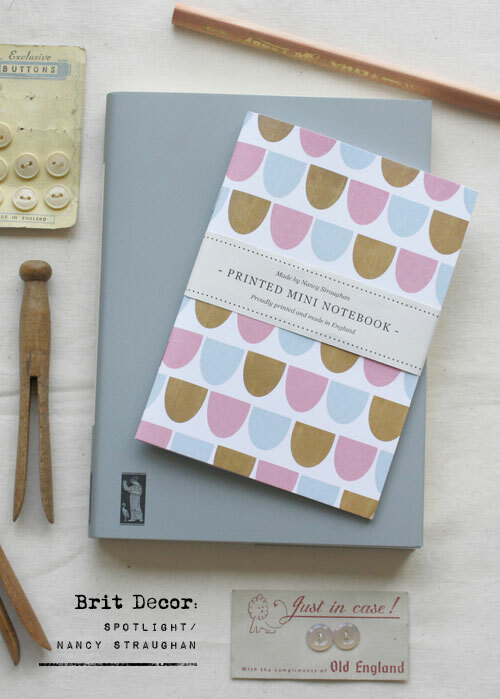 There are so many fantastic British textile designers and its sad that pattern design isn't as well known or respected as other design fields like graphic design or illustration. If you could sell your products in one high street store, which one would you choose and why? I would love to sell in West Elm, they were so kind to invite me to open a pop up shop in their Tottenham Court Road shop a few months ago which was just fantastic. Everyone who worked there was lovely and the organisers seemed to really share my values too. What would you like the future to hold for Nancy Straughan? 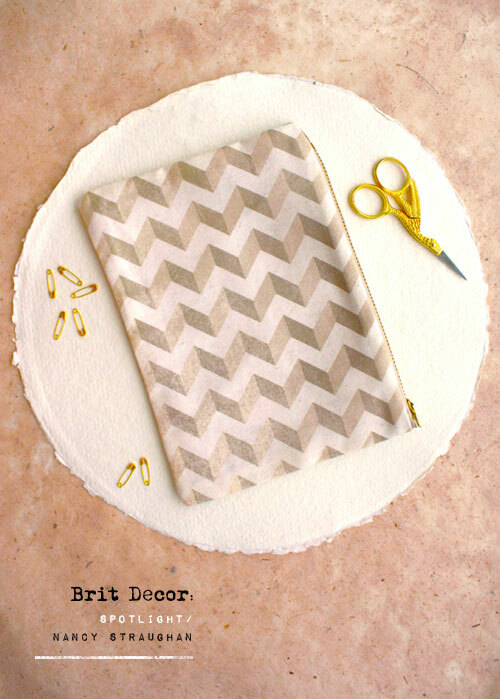 I also work as a freelance craft and lifestyle writer for various magazines and newspapers so my ultimate dream would be to write and publish my own modern craft book. 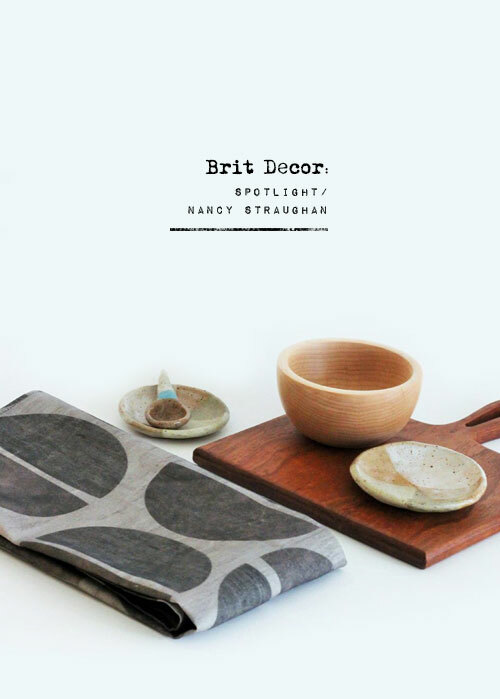 Watch this space folks - and a huge 'thank you' to Nancy for stopping by at Brit Decor.